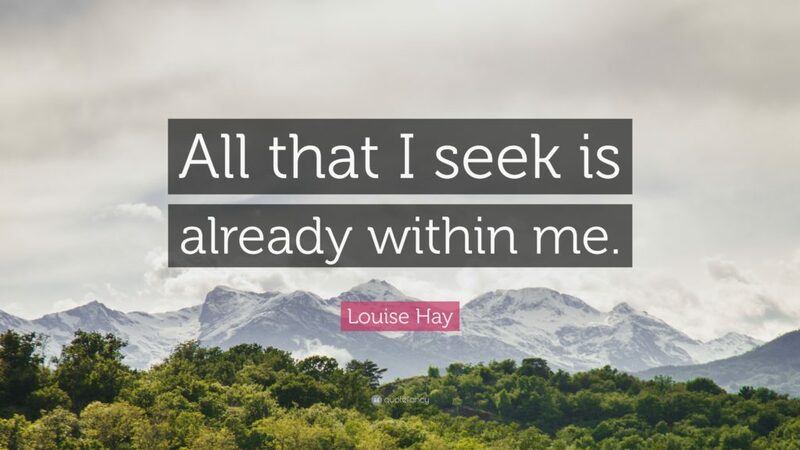 I am sitting at my computer and feeling the emotional impact of hearing that yesterday, at age 90, Louise Hay passed away. It is not too extreme to say that her work really saved my life. Although she had been a pioneer of the New Thought movement since the 80’s. I came to her work only two short years ago when I was willing to look at life and myself in a new way. Her simple and brilliant way of making people see the truth of who they really are and to begin to love themselves is the foundation for all that was to unfold in my life over the next two years. The mirror work and affirmations that she so lovingly encouraged people to commit to practicing chipped away at my negative self-talk that had been engrained in me for years…so long that I thought it was true and believed it. Her work offered me the possibility that maybe everything I thought was true about me and all of the limitations I thought I had were not the truth at all. I was able to open one corner of my mind to the possibility that I was something more and that really and truly anything was possible. I started to look at all of my beliefs and really decide for myself if holding that belief was serving my best interests. I also realized that many of the beliefs I had were not even my own! I had inherited them from family, friends or society and just accepted them as truth. This process began to shake the very foundation of my life. I know for sure that her work helped start the transformational process that led to my willingness to express myself more freely and authentically in the world. So today, as I am saddened by her death, I am also so grateful for the legacy of work she left behind and the lives her work will continue to touch.